Our programming is made by and for the Lexington community by people just like you. The staff at LexMedia is dedicated to helping volunteers in all stages of production from the conception of an idea to the finished product. At any given time, many volunteer-based productions are in the pipeline, from studio and field shoots to government meeting coverage to program editing. Members work together on projects – whether it is by being a crew member on another’s production or directing their own. It is through this community-based creation that our members learn new skills, form connections, and have fun. 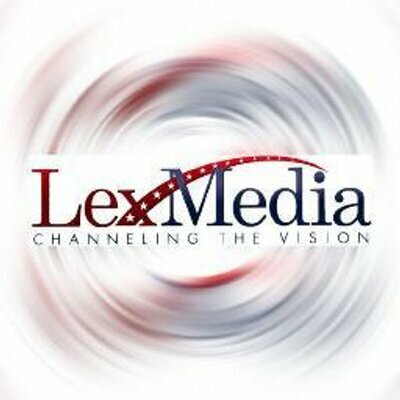 LexMedia also offers internships for high school and college students. We can help teach valuable production skills, or refine their knowledge; our interns gain real-world experience working in a professional media center. Producer. From short form videos to multi-camera studio shoots, the Producer oversees the filming of a program (aka the production). Both technical skills and a knack for storytelling are useful for this position. Director. The Director manages the production as it happens: the timing, the lighting, audio, and all the crew positions. This position relies on technical skills. Technical Director. A Technical Director is responsible for switching the cameras and other inputs per the instructions of the Director. Camera Operator. The Camera Operator is a self-explanatory position – they operate the camera during production. Whether it is using high-end, portable HD cameras or our in-studio cameras with teleprompter and jib. There is no limit to what a Camera Operator can learn. Camera Operator/Producer. Events in the Selectmen’s Meeting Room, Cary Hall, LHS and Cary Library are produced using the permanently installed video equipment. This equipment includes our robotic multi-camera control systems. Graphics Producer. Create everything from powerful show opens to lower thirds with name and information as a Graphics Producer. Our graphics generator is simple to use but provides plenty of options for graphic design. Sound Mixer. We are currently producing studio shows that use an average of seven microphones, but some shows use as many as 16. The position of Sound Mixer is great for the audio enthusiast. Field Production. We use many kinds of production tools here, from our fully equipped studio production truck to our HD cameras, our camera jib and dolly, and lots more. Editor. We use Final Cut Pro or Adobe Premiere Pro as edit platforms. We also have the latest software products like Motion, DVD Studio Pro, After Effects and more available to the Editor. Instructional Assistant. When they’re ready, volunteers may help assist the instructors in demonstrating equipment during classes. On-Demand Producer. Create web-accessible versions of LexMedia programming using a systematic approach and provided hardware and software tools. We rely on the talented volunteers, who come to us from a variety of backgrounds and interests, to do both the inspirational work of creating a show and the production work needed to complete a project. We welcome the input and value the time that our volunteers put in here.